Long before comfort at home was a widely known term, our English neighbours knew exactly how to achieve that special feeling! Finest textiles that have their own sense of softness, combined with the sense for Dutch design are the base for the signature One House Cushion Collection. It’s a great way of giving your home that extra coziness and adds a layer off right-fullness. Play around with different patterns to keep it interesting! 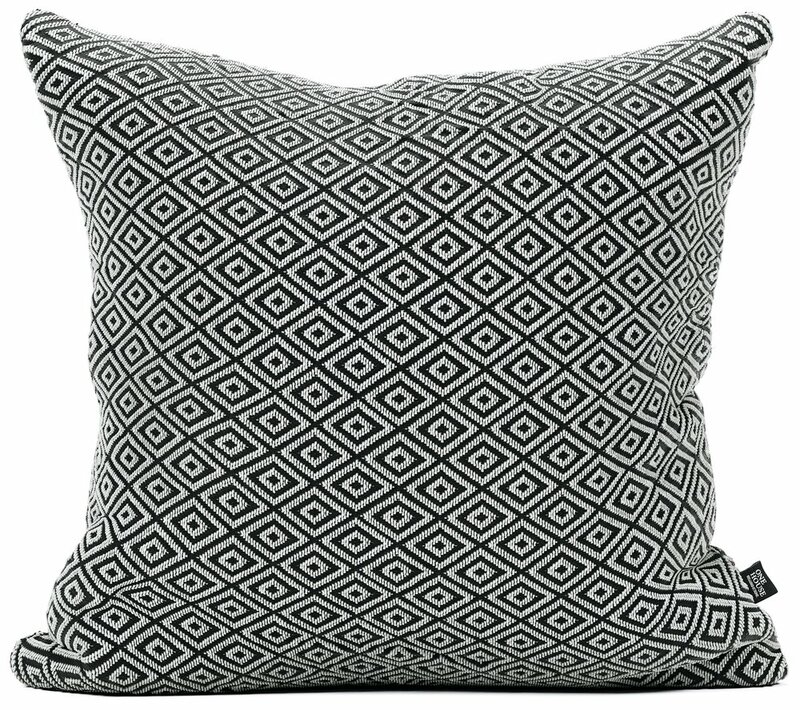 This minimalist pillow offers a timeless, curated feel to your home. The clean, classic fabric can stand alone or be versatile enough to mix and match with nearly any color scheme. This truly marks the perfect stripe - pairs well with everything! Trust us, we've tried it in our store. This clean designed pillow adds a darker touch compared to the light version. The classic fabric can easily be used by itself or mixed with more playful designs and other color schemes. While grey and ivory are always classic, the pillow’s weave represents a new take on ticking stripes. Its understated texture adds even more visual interest to any sofa or bed. An instant classic that will bring a touch of travel to any room - we love adding patterns to the mix, and this eye-catching cross look is perfect for just that! Our take on classic stripes, twisted a few degrees for that fun factor we love. The result? A look that's fresh and familiar, all at the same time. Simple blocks of stripes give the pillow distinction while remaining a versatile and classic addition to your collection.